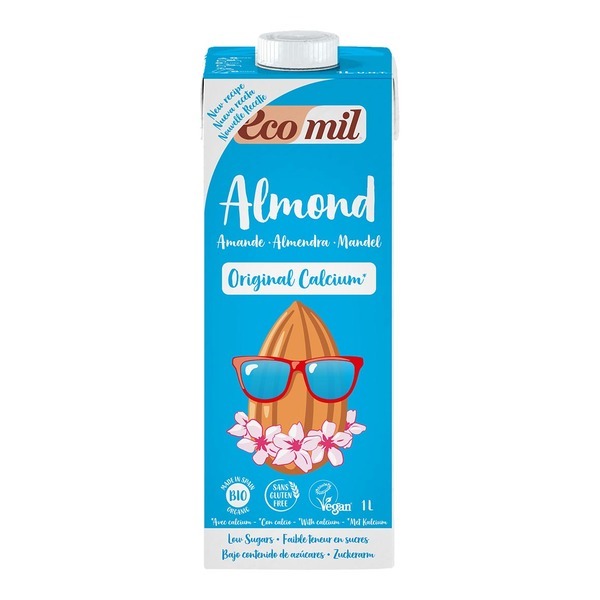 This delicious Organic Almond milk high in calcium 1L, is guaranteed gluten free! - Ingredients: Water, almonds * (7%), agave syrup *, corn maltodextrin *, calcareous seaweed: Lithothamnium calcareum (0.3%). Shake well before opening and consume within 5 days of it being opened. A careful selection of ingredients, strict manufacturing standards and quality control at all stages of production to ensure optimum quality ECOMIL products. Concern for the environment and nature is a constant in business and is reflected in all processes of ECOMIL products, from the selection of suppliers to the management of packaging and waste. ECOMIL products are made with organic ingredients grown without chemical fertilizers or pesticides in accordance with EU Regulation 2092 /91. In addition, restrictions imposed by Nutriops suppress the use of chemical additives for the storage of goods, and the use of dyes.
. Ecocert F32600 Isle Jourdain .